PLEASE NOTE: Obviously this feature was published in late April - so it has evolved since. 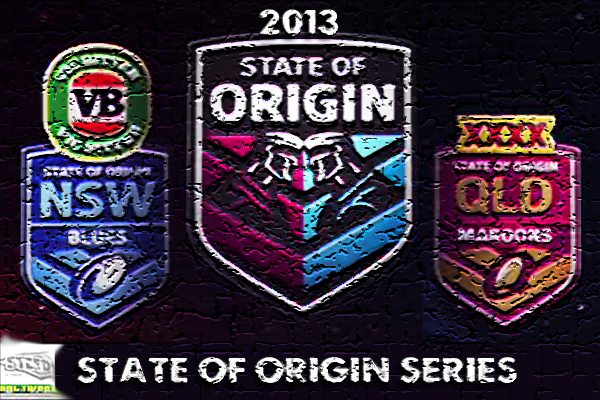 The actual NSW squad is below however - above the rest of the piece. Who has been the cream of the 2013 crop so far? 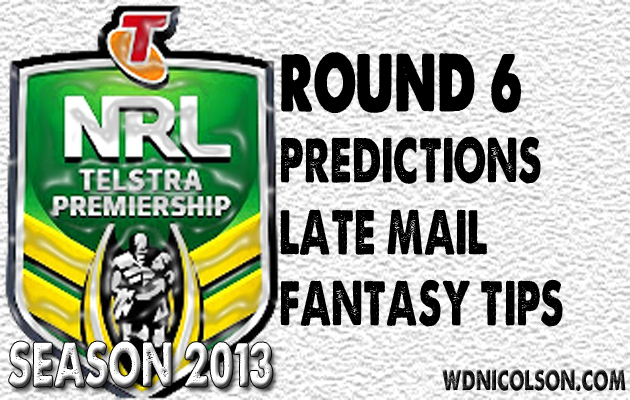 Continue reading below for the Round 7 Tipping Preview. Finally, here is proof of his 5 try and 9 goal bonanza in 1990. 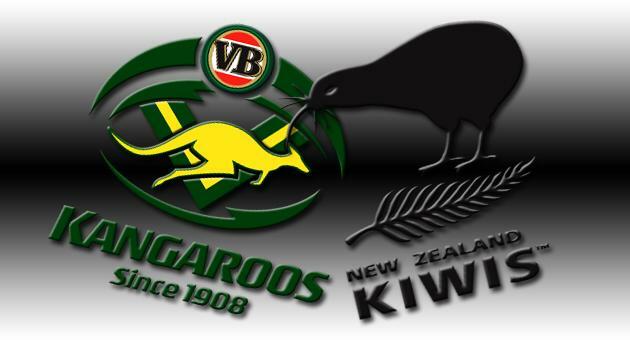 April 15 Easter Sunday, Round 5 of the 1990 Winfield Cup. 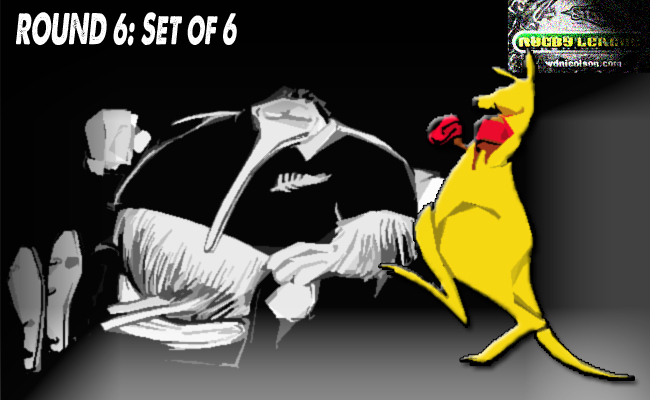 Here are all 38 points by Big Mal, including a couple of special tries scored by others on the day. 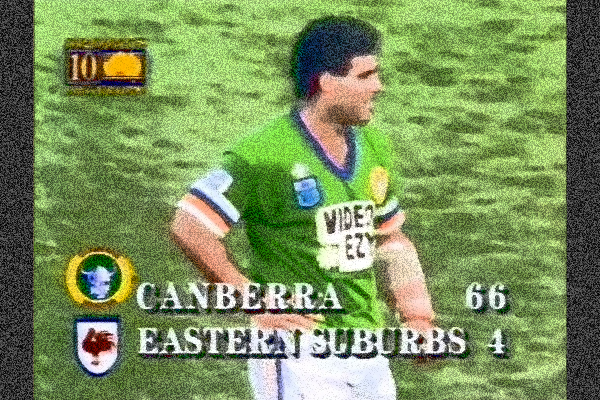 Meninga was an irresistible force that afternoon but the commentators still wanted to give fullback Gary Belcher Man of the Match despite Big Mal's 5 tries and 38 points! But the big bonus in this video is John 'Chicka' Ferguson streaking down the field to set up a very young Laurie Daley... notice how Daley - some 15 years Ferguson's junior - struggles to keep up with the best pure winger I've ever seen play. If you'd like to see www.wdnicolson.com put other big performances through the editing process - let us know what game and where that game can be found and we'll do the hard yards, because celebrating the true genius of yesteryear is hugely important in educating footy fans who think that today's stars are the be all and end all. That's certainly NOT the case kids! So how do you rate Big Mal's 38 point bonanza? How about Fatty Vautin's defence? Share your memories. 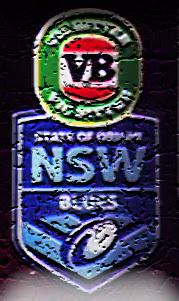 www.wdnicolson.com will have our NSW and QLD teams next week. 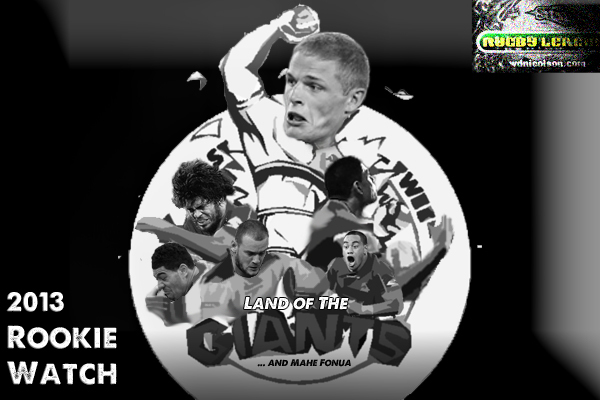 Why will the World Cup benefit from an Australian victory over New Zealand in the ANZAC Test tonight? 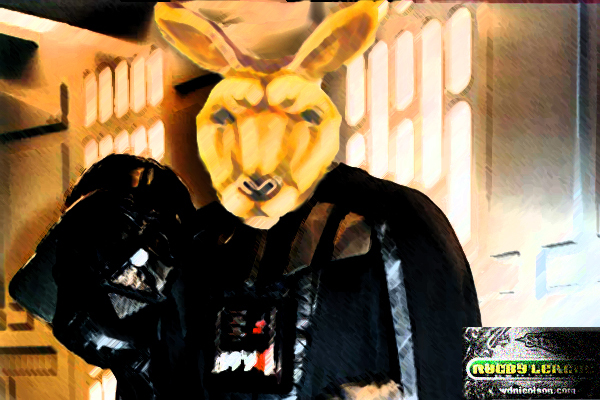 Are the Kangaroos still the 'Evil Empire' of International Rugby League? 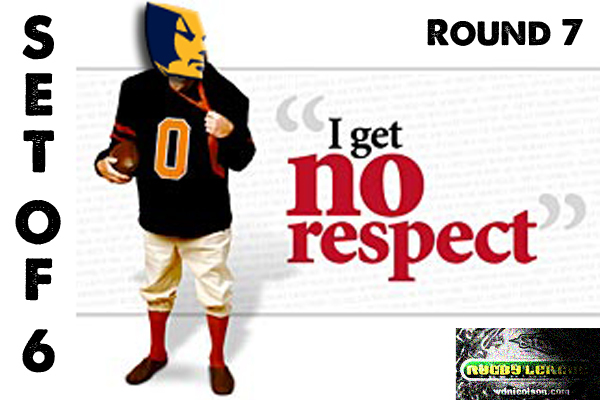 Has the Rep Weekend opened a new loophole for clubs to disrespect Test Football? 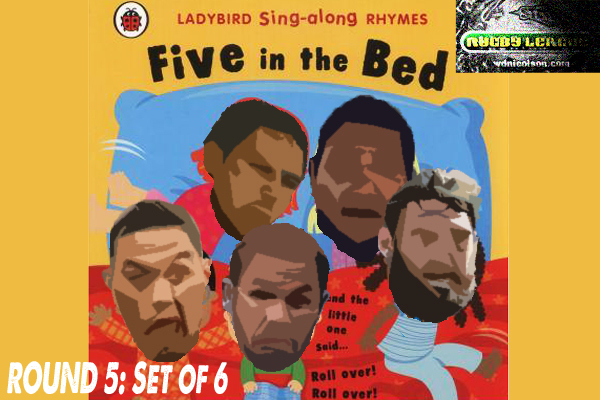 5TH COMPLETE SET: Snoozey stars, ASADA's unkind timing, Care factor zero, Obstruction of justice and Quotes from Round 5.
Who are the 5 Stars snoozing their way through 2013 so far? 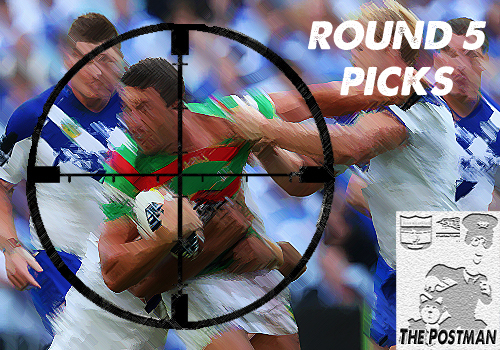 Which Bunny needs to be on your DreamTeam and SuperCoach pronto? ALL EXPERT PICKS AND SPECIAL FRIED RICE UP TO DATE! LATEST OF LATE MAIL ADDED! 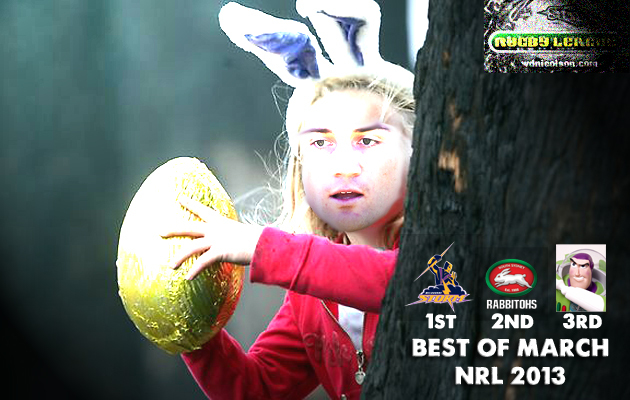 Cooper Cronk got the Chocolates in March - can anyone head him off for the Player of the Year?